Free Shipping Included! 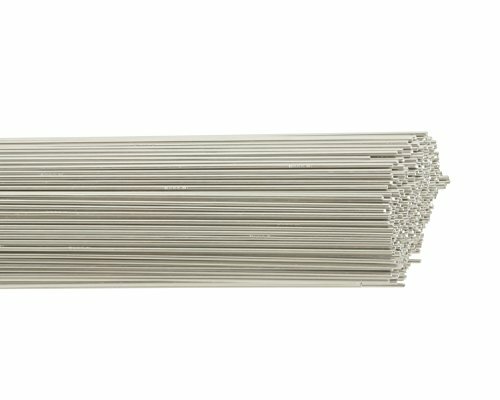 Harris 0535630 5356 Aluminum TIG Welding Rod, 1/16'' x 36'' x 10 lb. Box by Harris at UCBC Group. MPN: 0535630. Hurry! Limited time offer. Offer valid only while supplies last. Alloy 5356 is an all position non-heat treatable TIG wire used to weld the 5XXX series alloys when 40,000 psi tensile strength is not a requirement. View More In Welding Equipment. Alloy 5356 is an all position non-heat treatable TIG wire used to weld the 5XXX series alloys when 40,000 psi tensile strength is not a requirement. 5356 is a very good all purpose wire so it is the most widely used of all aluminum filler metals. Common applications are welding of boats/ships, bicycles, tanks, pressure vessels and automotive parts. If you have any questions about this product by Harris, contact us by completing and submitting the form below. If you are looking for a specif part number, please include it with your message.